Providing Science, Technology, Engineering, Arts, and Math (STEAM) exposure, education, and competition for youth living in under-served communities. 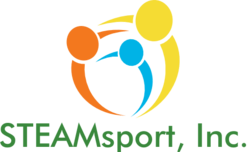 STEAMsport programs are designed to provide students from underserved communities opportunities to learn STEAM related concepts in a competitive but fun environment. Student's skills are display in STEAM competitions and showcases. Follow STEAMsport, Inc. on the social media outlets below to see our latest and greatest. STEAMsport is a great program for my son it has been very educational and adventurous. He has gotten exposure that kids in underpriviledged communities don't normally get.My son has continued to grow as a young man with the guidance of Mr.William Oliver and with the help of others great coding instructions. Overall STEAMSport is a fantastic program. My son has participated in the STEAMsport program for 4 years and it has increased his self confidence in coding, working effectively with a team, networking skills, learning the importance of volunteering, and internship opportunities. He is a tall guy but after his involvement in this program he walks with his head held higher. He has transferred the experience and exposure to his academic performance in high school. We appreciate you and the work you do with students, they are our leaders for tomorrow. STEAMsport has been such a GREAT program for both of my children. Angel has been in the program since he was in elementary school, and he has enjoyed competing in FLL robotics, Sea Perch, FTC, and coading. Now he is in 9th grade. The program helped him to get into The Westminster Schools. Anthony has been in the program for a long time too, as a "shadow" because he was young. This now is his second year competing in FLL Robotics and Sea Perch. We serve over 700 students across Atlanta in underserved communities access STEAM programs, but we can't do it alone. Your donations and financial contributions directly impact students in Atlanta.